The European Commission has been challenged again by the European Parliament on the tragic situation of the Sahrawi populations in the Polisario-run Tindouf camps. In a question to the European Parliament, Belgian MEP Kathleen Van Brempt affirmed that the Sahrawis sequestered on Algerian soil in Tindouf “survive in appalling conditions” and their rights are “systematically flouted by the Polisario”, with the support of the Algerian army. 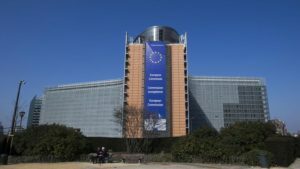 Recalling that the EU is the main provider of aid to the inhabitants of the Tindouf camps with a total of €222 million between 1993 and 2016, the Belgian MEP warned the European Commission against the squandering of this money “by various interested parties”, including Algerian officials and Polisario leaders. She pointed to the “growing insecurity” in the region and “systematic violations of human rights” in these camps, deploring that these “major problems are very rarely addressed” at the European level. The Belgian MEP questioned the EP whether it is contemplating any measures to put an end to the abuses and serious violations committed with impunity by the Polisario torturers. She also wondered why the European Commission continued to extend aid to the camps populations, although it was aware that the assistance was massively embezzled by the leaders and notables of the Polisario, the Sahrawi separatist movement created, hosted and financed by Algeria Since 1975. It should be noted that the Polisario, its Algerian sponsors and their European sympathizers suffered on Wednesday, a stinging defeat in Strasbourg. Actually, the European Parliament rejected by a large majority a proposal by Green and Communist MEPs recommending to the European Union to support at the United Nations the proposal to extend the mandate of MINURSO in Western Sahara to human rights monitoring. The draft resolution was rejected by 316 votes. The number of MEPs who voted for the text did not exceed 189 while 162 abstained. This vote translates a total disavowal of the separatist theses of the Polisario, which wants at all costs to put on the agenda of the European Union, an issue being handled by the UN.